The Justice League Magazine: Official Collector's Edition is out, and that means incredible pics like this one and the new look at Clark, are making their way online. Just one more week until we see them come together on the big screen, and Jason Momoa shared his excitement. He posted the pic below with a description of each of his costars. 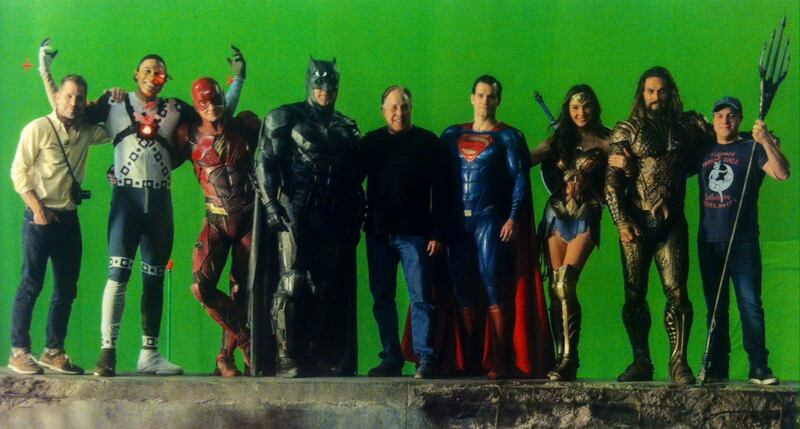 DC Family confirmed. Very nice JL pics. D.